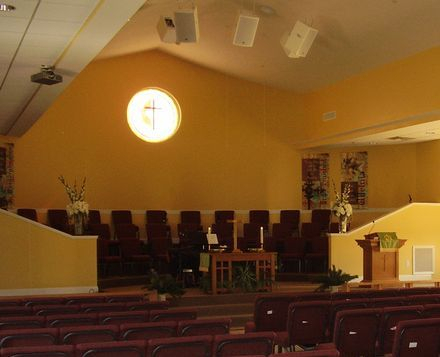 In 2009, Laws Stained Glass Studios installed a 5 ft. diameter round window at LaVergne First United Methodist Church in LaVergne, TN. The church was building a new sanctuary. 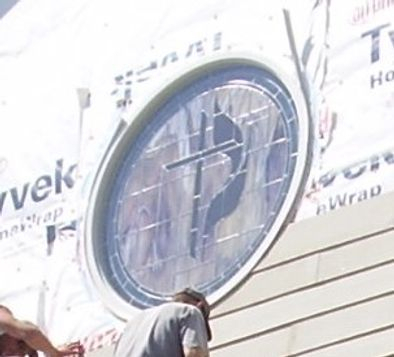 The new window was made of opalescent glass and had the "United Methodist Church symbol" in the center. Laws installed a new white aluminum frame into the masonry opening. The opalescent glass window was installed on the interior and on the exterior, 1/4" Lucite acrylic was installed as the protective covering. In 2010, Laws Stained Glass Studios returned to install a 4 ft. diameter window that included a light box. This window was made of cathedral glass and had a dove in the center made of hand-stained glass.